Roasted Veggies: the daily staple for healthy (fast!) food. Can a non-force chiropractor fix a herniated disc? For more information or to schedule an appointment with our Ventura chiropractor, call 805-641-9000 today! Dr. Todd Binkley is a chiropractor serving Ventura and the surrounding area. 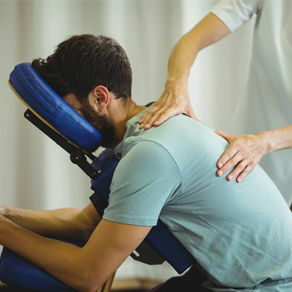 Our chiropractor and the rest of the welcoming team at Binkley Healing Center are committed to providing chiropractic solutions to address your unique needs, whether you are experiencing back pain, neck pain, headaches, or even muscular tightness and tension. You may be searching for pain relief after an accident, experiencing an injury, or if you suffer from a specific condition like chronic back pain or a spinal condition. Even if you're looking to improve your overall health, our chiropractor can help you attain your everyday wellness goals! Visit our testimonials page to find out what our patients are saying about our Ventura chiropractor and our chiropractic care plans. At your first visit to Binkley Healing Center, Dr. Todd Binkley will explain how chiropractic care works and give you a full evaluation to see if our chiropractic solutions are a good fit to address your needs. If there is a good fit, we can customize a plan of chiropractic care for your condition and health goals. If you have not been to a chiropractor before and want to find out more, please Email Us or call 805-641-9000 to receive the answers to your questions from our experienced team. We also welcome referrals, so we invite you to share our chiropractic and wellness information with your friends and loved ones. QUESTIONS ARE WELCOMED AND ENCOURAGED! I was always a good student. Many of my classmates were annoyed that I would frequently achieve relatively high test scores with seemingly minimal effort. It didn’t help that I frequently fell asleep in class. I had a couple of great teachers early on who taught me how to really pay attention to a lecture, and take good notes. But struggling to stay awake in the middle of afternoon classes eventually became a significant concern. One that led me to seek the advice of the smartest, most caring man I knew at the time––my chiropractor, Ed Counselman, DC. With the supplements I’m taking from Binkley Healing Center I’ve been loosing body fat, I have tons of energy and my mind is focusing better than ever!